डिज़्नी Princess वॉलपेपर. 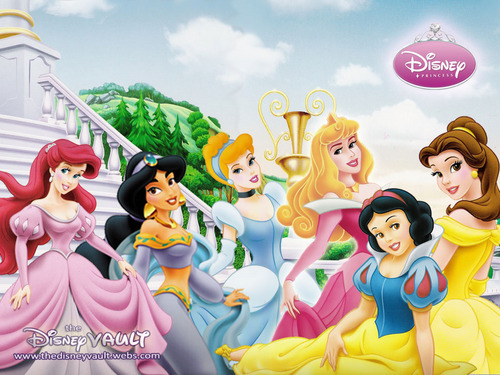 Ariel, Jasmine, Cinderella, Aurora, Snow White and Belle wallpaper.. HD Wallpaper and background images in the डिज़्नी प्रिन्सेस club tagged: disney princess princess ariel jasmine cinderella sleeping beauty snow white belle the little mermaid. cool i love their dresses! Cinderella with her real hair color is not something you see every day.